Taoiseach Leo Varadkar intends for the new Corporate Enforcement Authority to be “an Irish version of the FBI” when it comes to white-collar crime. Muireann Reedy looks at how the new Authority will differ from the ODCE and examines its proposed new powers. The Law Reform Commission’s Report on “Regulatory Powers and Corporate Offences” recommends the introduction of Deferred Prosecution Agreements in Ireland. Muireann Reedy looks at the Law Reform Commission’s proposals and concludes that the introduction of a Deferred Prosecution Agreements could be beneficial for all parties involved. The Irish government has recently overhauled its anti-corruption laws with the enactment of the Criminal Justice (Corruption Offences) Act 2018. For the first time, corporates can be prosecuted if someone acting on their behalf commits an offence under the Act. Muireann Reedy looks at some of the Act’s key provisions and what companies can do to try to mitigate that risk. Following President Trump’s recent confirmation that U.S economic sanctions on Iran will be reinstated, Muireann Reedy looks at the penalties which can be imposed in various jurisdictions for non-compliance with financial sanctions regimes and notes that they can have extra-territorial reach. The Disclosures Tribunal has brought whistleblowing into sharp focus. Muireann Reedy looks at some key whistleblowing legislation, the difference between voluntary and mandatory reporting and why it is advisable for all employers to have whistleblowing policies in place. There has been much discussion of the fitness and probity regime in the context of the Tracker Mortgage Examination. Muireann Reedy looks at the Central Bank’s powers to investigate people performing certain key roles at regulated entities. When the General Data Protection Regulation (EU 2016/679) comes into force on 25 May next the Office of the Data Protection Commissioner will be able to impose for the first time large administrative fines for data protection breaches. Muireann Reedy explains why it will pay to be compliant with the GDPR. The Central Bank of Ireland first announced details of its 'Tracker Mortgage Examination' in October 2015. The Examination is still on-going but by the end of February this year approximately €78 million had been paid in redress and compensation to impacted parties. Muireann Reedy concludes that, while it remains to be seen whether the guidelines put in place for redress under the Examination will act as a template for future redress programmes under the 2013 Act, what is clear is that the final bill for lenders involved in the Examination will be very significant by the time redress and compensation is paid, Appeals Panels are established and the costs of a potential enforcement investigation are factored in. As part of any settlement under its Administrative Sanctions Procedure (the ASP), the Central Bank of Ireland (the Central Bank) expects a breach to be admitted. Muireann Reedy examines the impact that this policy can have on a regulated entity or individual and contrasts the Central Bank’s position with the practice of other financial regulators. The Central Bank entered its first settlement agreement under its Administrative Sanctions Procedure in 2006. 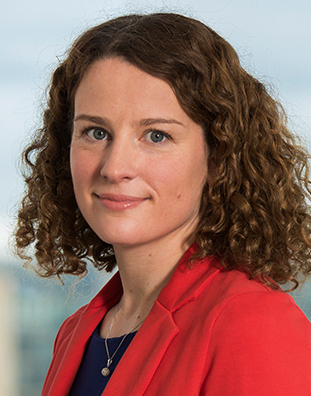 Muireann Reedy of Dillon Eustace’s Regulatory Investigations Unit examines the evolution of publicity statements released following settlements under this regime, from the first brief statement released in 2006 to the robust statements which characterise today’s settlements.